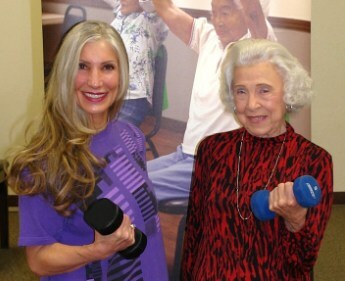 Master Trainer, Francesca Fisher, and star pupil "Joan" work out together in this 45-minute Geri-Fit® fitness video. Suggested for advanced Geri-Fitters that have excelled the squat movement and are ready to add more weight to the workout. Most of the exercises are performed in chairs, but you can do them standing if you prefer. No floorwork! DVD comes in a plain clamshell case and is brand new and has never been played. © Copyright 2018. All rights reserved including reproduction in whole or part. For private in-home use only. Public broadcast is strictly prohibited unless appropriately licensed for public use.